Having to eat, of course, is the one thing we all have in common so it's natural that trying out new cuisine is one of the top reasons for traveling. One experience that every foodie and avid globetrotter should try out is cooking holidays, since outstanding food tastes even more amazing when you crafted it yourself. However, with a countless number of schools dedicated to the hundreds of different cuisines around the world, knowing where to start can be tricky. With this in mind, we've compiled a list of our favorite culinary breaks featuring the top providers around the world. There's something to suit every budget and taste, stretching from Iceland to South Africa, so dive in and get those taste buds watering! This South African school, based in Prince Albert on the edge of the Great Karoo, runs informative three-day courses overseen by master chefs. There's such a huge choice of courses (a staggering variety, in fact) so we're sure you'll find something to suit your taste, and it makes a good base for other activities in South Africa. We highly recommend embarking on a photo safari which is guaranteed to make the unlucky folk back home jealous. Cuisine: Just about every style under the sun. 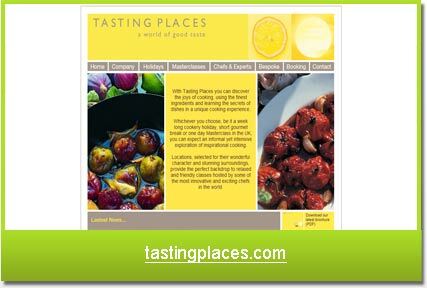 Location: Over 90 gastronomic breaks in a variety of countries. Prices: Plenty of classes and trips to suit any budget. 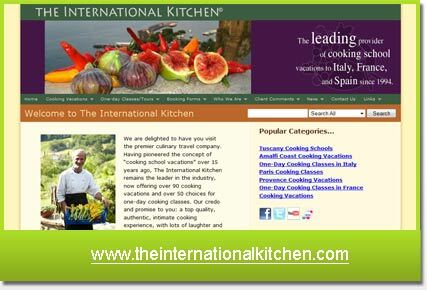 In its seventeen years of business, the International Kitchen has grown to become one of the global leaders in culinary breaks and deserves every commendation it has received along the way. While its scale means there is plenty of variety (from Highland cooking in rural Scotland to the cultural wonders of Peru), the company is still helmed by original founder Karen Herbst. Want to make your own tagiatelle before checking out the masterpieces of Da Vinci? Want to drive a Ferrari along the coast before joining expert chefs for a cookery lesson? Of course you do, and these guys provide all this and more. All of their programmes are brilliantly balanced so you'll get to enjoy Italy in a unique way at the same time as receiving first-class tuition in the kitchen. We particularly recommended their Florentine tours. Prices: Around $2,300 for the six-day course ($2,750 for advanced course). Lower rates for non-participants. With some of the most gorgeous countryside and finest food in Europe, you don't need many additional reasons to visit Loire Valley. 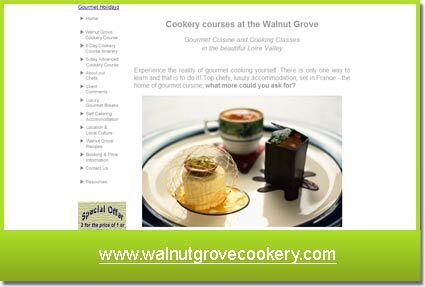 However, at Walnut Grove you'll also be treated to luxury accommodation and the opportunity to craft your own culinary masterpieces, all in a relaxed setting. 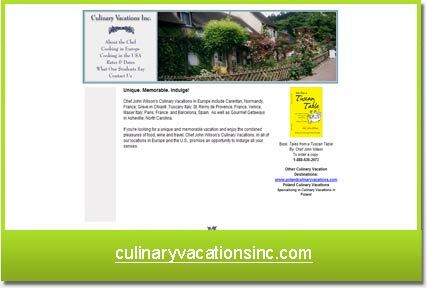 We highly recommend checking out the recipes and creations on their homepage to see some of the gourmet dishes you'll learn to make during your stay in this magical location. This course takes place in the luxurious Casa Ombuto, a refurbished Tuscan villa near Florence. You'll be shown the basics of Italian cooking before learning how to create lavish four-course banquets under the guidance of Paula Baccetti. Paula is as local to the area as the ingredients you'll be using, which are bought fresh from the markets every morning. Prices: $2,080 per person, based on double occupancy. Lower rates for non-participants. Trips to the local market form an intrinsic part of this introduction to rural Spanish cooking. This outfit offers a bespoke, personalised approach to culinary tuition, and it certainly doesn't scrimp on the tapas. Plus, you'll be taken on tours every morning of the six day course. 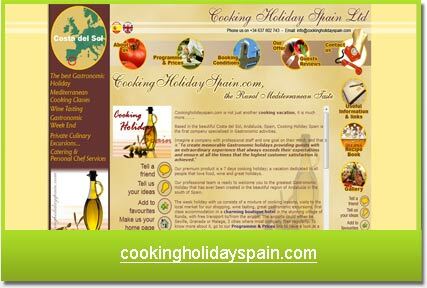 To sum it up, Cooking Holiday Spain will leave you with a taste for the good life. Prices: Depends completely on what you want to achieve. 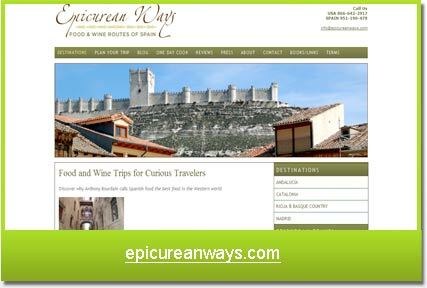 With Epicurean Ways, you're invited to decide what you want to see and order an itinerary to be drawn up specifically for you. As such, this marvellous service doesn't have an off-the-shelf price, but with so much to choose from and no restrictions on party numbers you certainly won't be disappointed by the customized service. Prices: $1,450 for a five-day boot camp; cheaper, shorter courses are available. 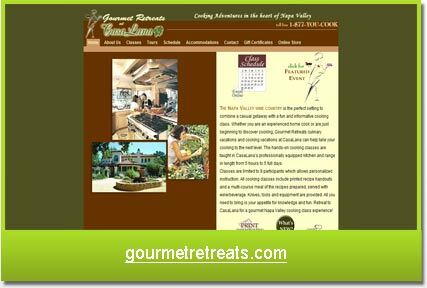 Small class sizes and a relaxed atmosphere make this Californian cooking school one of our favourites. The five-day 'boot camp' is aimed at reasonably competent cooks who want to sharpen their skills. 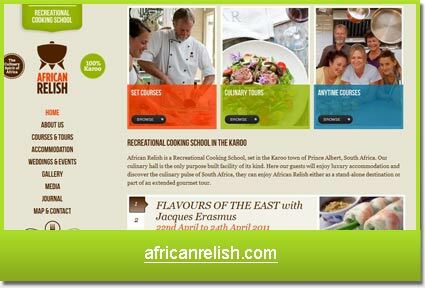 All aspects of cooking will be covered though, and there are simpler courses available which cater for more novice chefs. The proprietor, Lana Richardson, is a talented chef and inspiring teacher. Prices: From $520 for the four-day course. 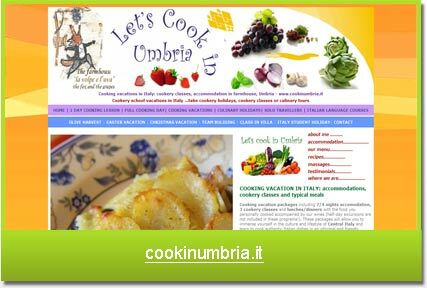 With one day lessons and group discounts available, these guys are our top pick for cookery courses dedicated to Umbria. Don't let the prices fool you - the accommodation here is something else, consisting of farmhouse apartments overlooking lush greenery and rolling hills. 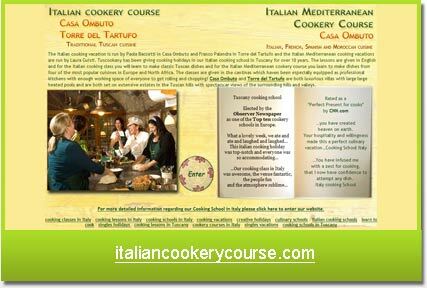 The courses themselves are also second-to-none, lead by the deeply passionate Raffaella and taking place in her home. Prices: Between $1,500 and $3,000. 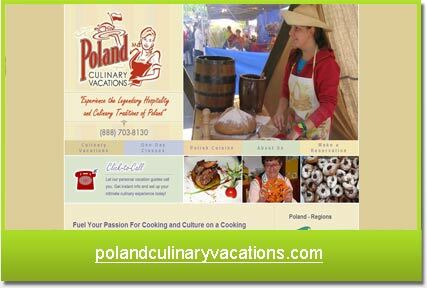 These custom vacations thrust guests into the heart of traditional Poland, exposing them to the culture of Silesia, Lesser Poland and other regions. Dubbed the "Venice of Poland", Wroclaw forms an atmospheric backdrop to your excursion into the Polish lifestyle. English-speaking interpreters are included in the price. Prices: From $76 upwards (depending on group size). These short courses in the heart of Marrakech are an effective way to get to the bottom of Moroccan cuisine, as well as the wider culture of Arabic cooking. 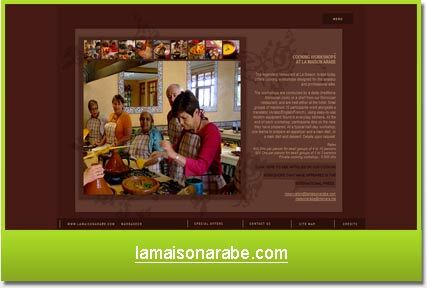 Dishes like the tagine will be explained to you by a skilled dada, a traditional Moroccan chef. Meanwhile, you'll have the opportunity to explore Marrakech's souks and market squares. Prices: Depends on how many of you there are, and what you want to do! 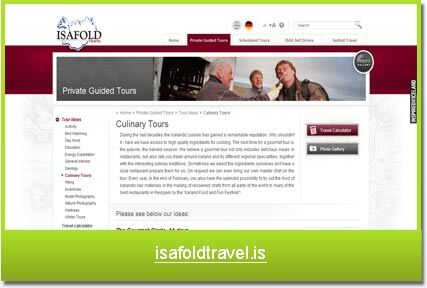 This is by far our favourite Icelandic culinary tour, partly because of the food and partly because of the flexibility. You can ask for a master chef to accompany you on a bespoke tour, which can involve anything from harvesting your own ingredients for preparation in traditional Icelandic meals, or visiting one of Iceland's food festivals. We recommend going in autumn, Iceland's harvest season. Prices: $3,300 for a seven-day course, with discounts available for non-participants. 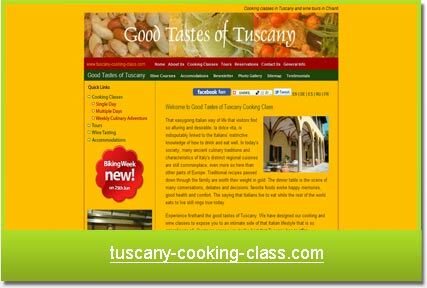 This week-long course will immerse you in Tuscan cooking. Each day you'll prepare a five course meal in a 14th century villa, set in an historic 150 hectare estate in the Tuscan hills. The itinerary is packed with tours and classes which will ensure you come away from Tuscany with a firm understanding of its culture and cuisine. Prices: Starting at $830 for a two-and-a-half-day weekender to $14,860 for a twelve-week course. 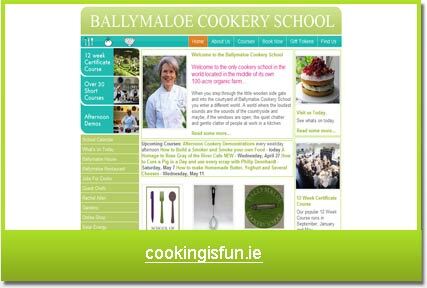 The Ballymaloe Cookery School champions the link between farming and food. If you want an immersive and challenging experience, you'll find it here as they'll teach you around twenty recipes each day in a traditionally cheerful Irish setting. The family-run school also offers a 12-week certificate course which will bring you to a professional standard for just shy of $15,000. Prices: On application. Varies according to specification. Tasting Places impressed us with the sheer scope of their operation. Not much of Europe is left unexplored by the plethora of courses on offer, while the secrets of England's most prestigious restaurants are available to UK travellers. Culinary tours of Thailand are also available for the more intrepid gastronaut. Prices: Varies according to specification. 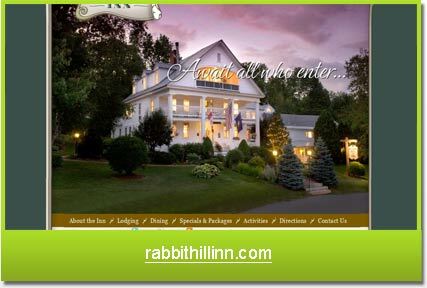 The Rabbit Hill Inn is renowned as a distinctive New England inn, offering palatial splendour and devoted service. 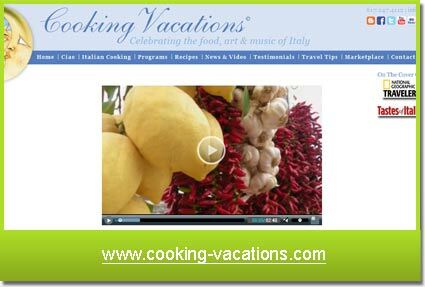 Their cookery classes provide thorough culinary instruction for informal groups of eight. Guests will be treated to world-class food and will receive their own embroidered aprons, all while staying in luxurious accommodation. Foodies won't want to miss this one. You'll love these all-inclusive cooking experiences. Geared towards students of all abilities, the courses will tackle European cooking styles head-on and will give guests an insight into herbs and seasonal produce. With six historical schools over four countries, you're spoilt for choice. A list of the world's greatest culinary breaks would not be complete if it omitted a trip to Scotland. 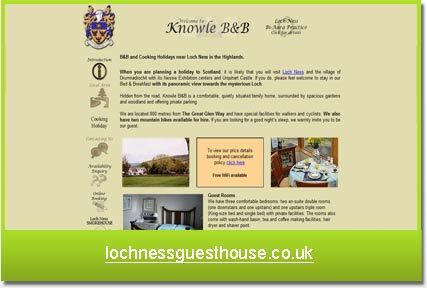 Overlooking the eerie waters of Loch Ness, Knowle B&B is an excellent retreat for those who want to immerse themselves in Scotland's charm and a perfect setting for their cookery courses. Lead by pro chef Bert Wigman, the day begins with one of the best breakfasts in the northern hemisphere and ends with an informal, hands-on class before the group enjoys the fruits of their labor. 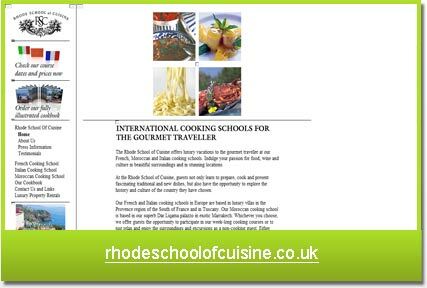 The Rhodes School of Cuisine gives intrepid travelers the opportunity to explore a country's culture through the medium of cooking. The school has villas in Provence and Tuscany, as well as a palazzo in Marrakech - all of which have attentive staff, distinctive surroundings and lavish accommodation. Culinary breaks don't get much better than this. If you don't fancy doing the cooking yourself, you'll love this last option. 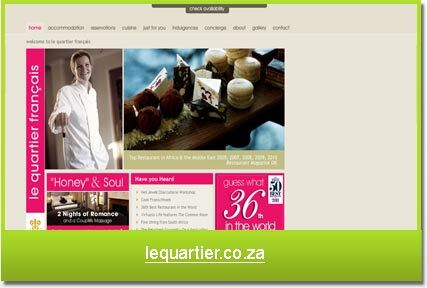 Le Quartier offers guests unparalleled opulence and the opportunity to discover local traditions first-hand. The Tasting Room, one of the many restaurants in the complex itself, will devise a bespoke menu to suit your desires while master chefs impart the skills, wisdom and philosophy of classical cuisine.